London is a busy city. It has an efficient public rapid transit system in the form of the Underground, also known as the Tube, which is further supported by ancillary services like the bus system, above-ground rails and trams, and the ubiquitous black cabs. All that ought to make exploring London an easy proposition. However, in spite of the numerous public transit options, the popularity of London coach tours grows unabated. A coach tour refers to a bus service that takes visitors on a sightseeing tour of a city or region, which in this case is London. 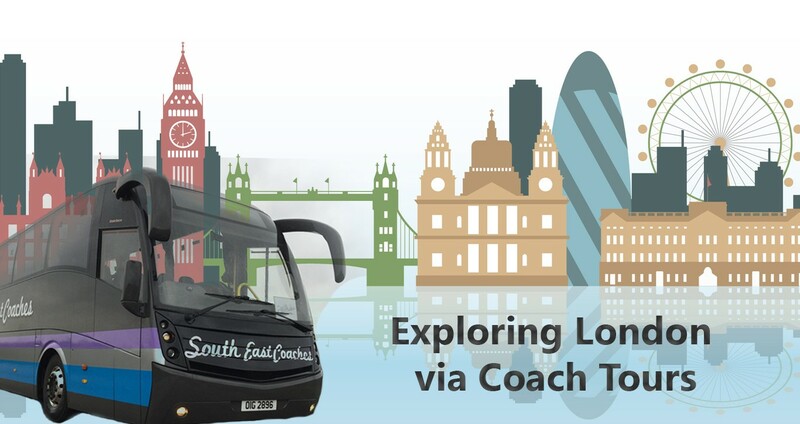 Here we look at six benefits of choosing a coach-based London full-day sightseeing tour. As previously mentioned, London is a busy city. The prospect of getting lost or not knowing the most efficient routes to must-see spots can be a source of despair, more so if you are on a short holiday. There is also the fact that you have to arrange your own accommodation (in case of overnight trips), food and documentation (if any). You can kiss goodbye to all those hassles by opting for a coach tour of London, or any other place for that matter. There’s a tour guide to assist you with anything during the trip and the coach touring company usually takes care of arranging accommodation and food for overnight trips. When all such essentials are taken of, the only thing you have to do is turn up and enjoy the tour. You’d have to be a really people-loving and outgoing person to make friends when travelling solo, especially on single-day trips. However, making new friends becomes easier when people with a common goal (like exploring London for instance) come together in the same place, or bus. Coach tours make it easy to figure out who you can get along with. If you are someone who has a tough time striking up conversations with strangers, coach day trips can seem like heaven-sent. Many of the companies running London coach tours have been around for several years now. This has allowed them to refine their itineraries to a level that would take weeks of planning from you to match as far as efficiency is concerned. Coach tours from these companies are efficient in the sense that they help you cover the best of a particular destination at a comfortable pace. These companies tend to hire only Londoners with slick knowledge of the city and its top spots whom you can trust for quality restaurant, bar and shopping recommendations. For those not used to it, London’s rush can come across as a rude awakening. This is especially so for retirees and elderlies from other cities or countries. Which is why coach holidays for the elderly are such a good idea. Coach tour companies are well-versed with the needs of older tourists and even offer dedicated coach tours for the elderly where the itinerary, among other things, is drawn up in keeping with their needs. Exploring destinations off the beaten track with organised travel might sound like an oxymoron but it’s actually doable with coach tours. For instance, there are several short tours from London that cover less prominent areas in and around the metropolis. That makes them ideal for non-Londoners or those who do not know of the city’s hidden gems. Coach tour companies usually include a mix of well-known and lesser-known destinations in their itinerary, which you can check out before booking. Are you a group of mates wanting to see the best of London but don’t quite have the time to plan the entire thing on your own? Well, coach trips to London are just what the doctor ordered. No need to spend hours planning your itinerary after work or on weekends. Just look up any of the London tour companies that offer coach trips and make the booking. And if there are enough of you, the chances of availing a group discount from the tour company go up significantly. The advantages of taking a tour bus or coach go beyond the ones mentioned here. Safety is arguably the most important advantage of coach tours. In a frantic city like London, it always helps to know that someone, the tour leader in this case, is watching your back in case something goes wrong.